As brands continue to go global, some businesses in emerging markets are quick to understand the equity that resides within the brand identity of global market leaders. As a result, ‘branderfeit’ stores are popping-up like mushrooms throughout the newer economies. Legend has it that founder of Australian cafe chain ‘Villa & Hut’, Franz Madlener was traveling in China for the first time when his taxi pulled-up at the lights. Glancing out his side window, Madlener saw realized they’d stopped in front of a Villa & Hut store. 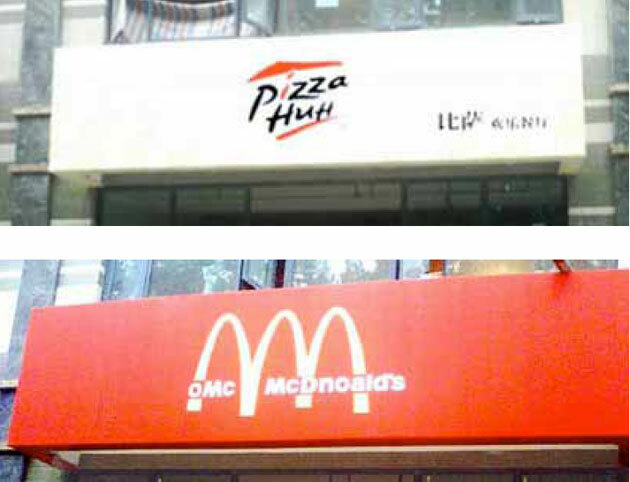 The only problem was Villa & Hut had no stores in China at that point. What Madlener was looking at was an almost exact replica, a branderfeit version of one of his branded stores. Here are some examples of these misplaced gestures of brand identity flattery – amusing unless the brand they’re leveraging happens to be yours. Those examples are truly staggering. At least the fake Apple stores in China look like close forgeries. Thanks Simon, the Chinese have sure proven to excel at precision, whether that be mathematical, engineering or branderfeit.